Bees are the keystone of life. Bees are not just “bugs”. Recognition of their contribution and raising awareness is the first step. All food for all living beings, not just vegetables, depends on the pollination that bees provide. Bee People educate others about our little friends and that helps us all protect them (and ourselves!). I’ve been passionate about bees for a long time. While traveling years ago I saw my first hive, and after that I became “bee aware” and was running into hives all the time. I can hear them and I spot many more hives even in the city since I’ve attained my own ‘Bee Consciousness’. Even in downtown Los Angeles. When you open your heart to bees, you might also attract more Bee People. Bees are animals and animal lovers make the best Bee People. It’s important to support bees and Bee People. Bee People, to me, are those organic minded Bee ambassadors and educators that teach everyone about the importance of bees. Colony collapse, commercial beekeeping, factory farming, pesticide use and fear of bees: all of these issues require that we educate each other and support our Bee People advocates. Wild bees in wild hives are not enough to support our food supply with the size of our global population. It’s important to differentiate between commercial beekeeping and organic backyard beekeepers that love bees. Beekeepers vary in goal and quality of care, just like any other animal caretaker. Not everyone with a dog harms a dog or runs a puppy mill. Similarly there are organic backyard beekeepers who keep bees because they love bees and they have a passion for educating people on how to create homes and gardens to support and feed bees. I think it’s important to celebrate these keepers and not to offend these caretakers by assuming they share the same mentality as factory or commercial farmers. 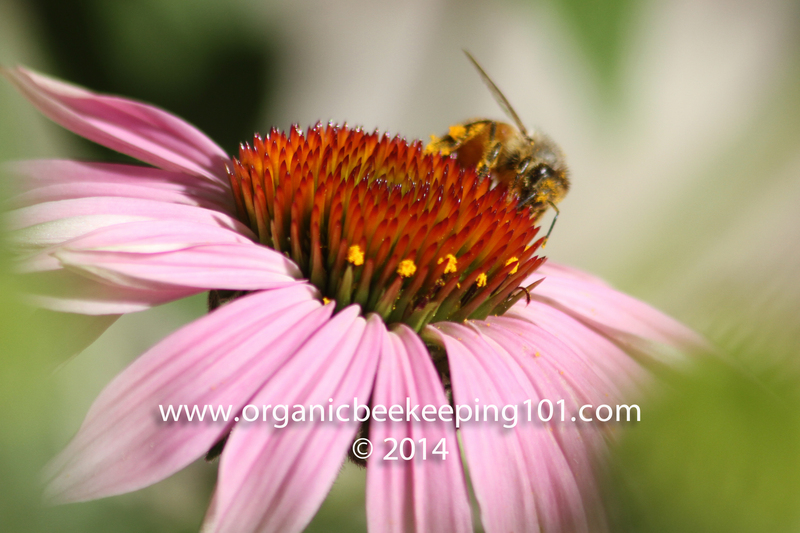 To avoid commercial beekeeping, we need to support the bee loving organic backyard keepers. Another myth is that all beekeepers steal honey from the baby bees. If we can agree that the bees need help, we need to help those that are helping bees. Some gentle honey removal is required to maintain man made hives. “If beekeepers take more honey than they should, they know their colony will starve and die out over the winter, so they don’t usually do that.” Randy Sue Collins, Organic Beekeeping 101. I am curious, how do you know without doubt how much honey is ‘excess’ honey that the hive does not need for the winter? Thanks. 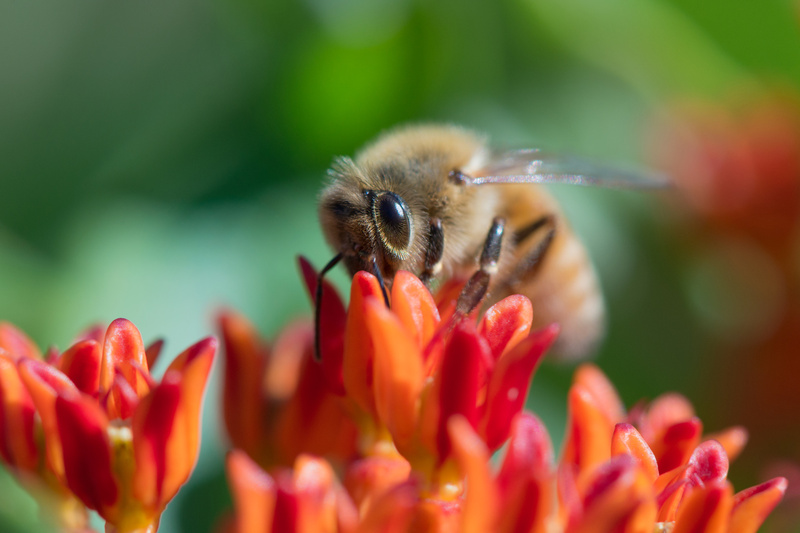 Organic backyard keepers love bees and that’s why they keep them. Without food, the bees will leave (they swarm and leave for another hive) or die and that is not desired, because the bees need the food to feed themselves and their young. I am not a keeper so I do not know the exact amount, but you can contact Randy Sue Collins and ask. It is my understanding that some honey must be removed, depending on the type of man made hive for maintenance. Logic dictates that bees would need more food for the winter than the spring, so probably just enough removed for maintenance. I encourage being respectful to the loving keepers so they can educate others to be responsible keepers. The bees need our help, and they need loving advocates and educators, and we are dependent on the bees. Does that help? I am very happy to hear more people discussing bees. I strongly believe we need to protect these wonderful little guys. 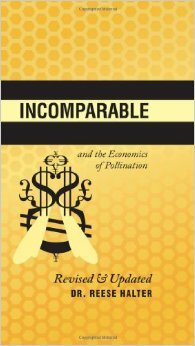 This article is great and it reminded me of another post regarding bees that was shared on CE. The link to the other post on bees is http://www.collective-evolution.com/2015/01/23/how-mushrooms-can-save-bees-our-food-supply/. A great start to supporting bees is boosting awareness and respecting the essential elements in our natural world! Love & much thanks! Thanks for the link..we all need to come together for the bees! Thanks Bubbito for the blog! I absolutely love this posting, I have been buying Local Honey from one of the best, most informative company of them all, The Honey Ladies. I am definitely a lucky guy to have such a great local group. Thanks Tessora! It’s important to know who we are supporting and to understand the difference between factories and nice humans. Thanks I’ll look up The Honey Ladies. Yes bees need our help! We all need them. Oh I like that little bee! Wow maybe you can find some photos of your bee aware history! Honey can be medicinal too. Dr. Reese recommends spring harvest so it doesn’t interfere with their winter :). I definitely have pictures if my kids with my fathers bees but it would be awesome to dig and find pictures of myself as a child with my grandfathers hives! I will never forget the way he looked like an astronaut in his suit😊 sweet memories.